When we hear the word nutrition many of us automatically pair it with dieting and dieting is no fun. But eating should be one of our foremost pleasures in our older years. Eating should be a social activity and it should be fun. Cooking ought to bring out our artistic flair and make serving others a pleasure. How do we find the proper balance in eating a healthy diet while avoiding some of the pitfalls of a diet too rich in fats, sugars and calories? 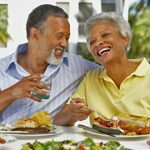 Helpguide.org is a nutrition website full of helpful information for those of us past middle age. There are clear and helpful informational lists on what our bodies need daily to stay healthy. There is a list of tips for healthier eating that includes the choice of foods bright in color, avoiding hidden sugars in items such as canned foods, instant foods and condiments. There is a chart outlining the number of calories needed daily for those over fifty depending on their level of physical activity daily. We all know we should eat three meals a day, but what about snacks? You’ll find a list of healthy snacks which includes almonds, raisins, yogurt and cottage cheese, hummus and a variety of fruits and vegetables on the list. High fiber snacks are a welcome addition to three healthy meals each day. 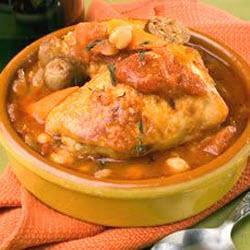 Other suggestions for a healthy senior diet include finding healthy recipes which may reduce fats and sugars. We can replace white rice or pasta with bulgur or kasha. We can select low fat products or substitute applesauce or prune puree for oils or margarine. Eating in the company of others is one way to avoid overeating due to boredom or stress. Make eating a social event much of the time and enjoy the companionship of others as all of you make healthy choices. Portion control is easier when done in teamwork mode. This Mayo Clinic Article discusses some of the ways caregivers and family members can assess whether or not seniors are becoming malnourished. Some of the warning signs are fatigue, a low red blood cell count (anemia), poor skin quality and depression. The reasons for this nutrition decline can be many, but often include the side effects of medicines, a lack of exercise, overindulgence in alcohol and various forms of depression. Tufts University has put out a new food pyramid for seniors taking into account their unique nutritional needs. This pyramid for those over seventy suggests the usual healthy diet, but includes supplementary additions such as vitamin B-12, calcium and vitamin D. In addition it adds increased fluid intake and fewer calories for those relatively inactive. 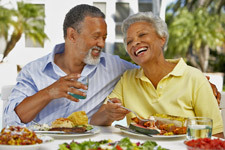 There are many reasons that seniors don’t eat a balanced and healthy diet. Some of these reasons are unique to their time of life and their mental health. Sometimes poor dental health affects what can be ingested. Seniors may have limited access to transportation for shopping trips or they may lack adequate funds to purchase healthy food. As a silver surfer myself we seniors experience a lack of appetite due to medicines taken and others too may eat poorly due to forgetfulness or loneliness. We’ve all heard the old saying that “you are what you eat.” Mental health specialists say that may be very close to the truth. Good nutrition contributes to a healthy state of mind and helps all of us silver surfers avoid dangerous depressions that affect not only our physical but also our mental well-being. Sometimes a healthier diet begins with one small step. We can aim for a plate of food with five bright colors on it, we can substitute almonds for a candy bar, we can eat an orange instead of a donut. But when all is said and done, let’s enjoy our meals and make them a time to enjoy both our food intake and the people with whom we eat.